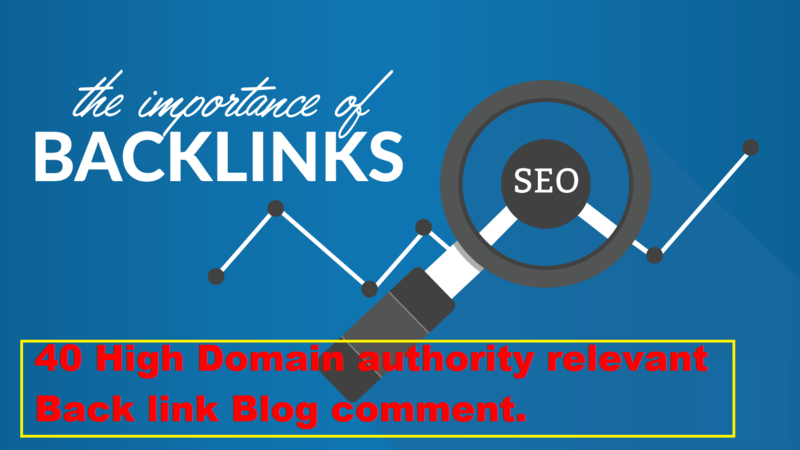 40 High Domain authority relevant Back link Blog comment. The back link is a great way to rank the website. So, I'm giving you the high Domain and Page authority 100% sure quality back-link without any kind of spamming. 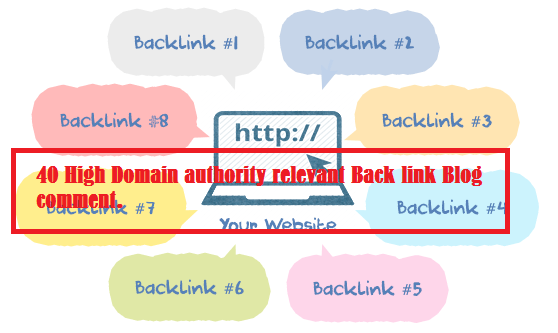 Package only : 40 High Domain authority relevant Back link Blog comment.